The Truspec All Terrain Tiger features Gen 2 Tigerstripe developed by Tigerstripe Products. 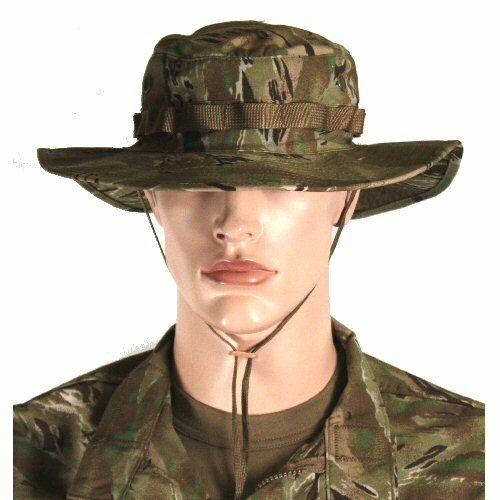 This combines the tigerstripe pattern with its bold lines with a camouflage pattern which features colours which meld into each other for enhanced concealment effect. 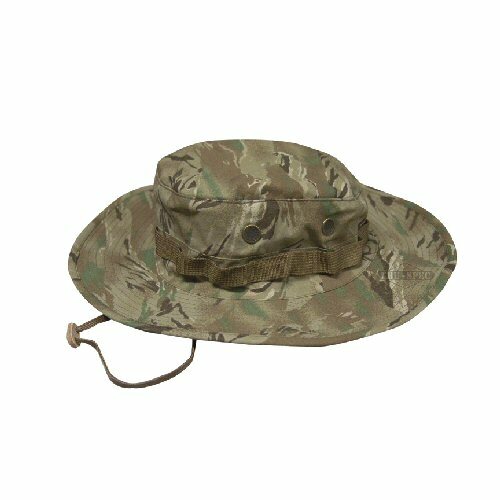 The All Terrain Tiger USGI boonie hat is manufactured in 50/50 NYCO ripstop fabric, featuring two ventilation holes on left and right, classic wide brim, webbing around sweatband and adjustable chinstrap. 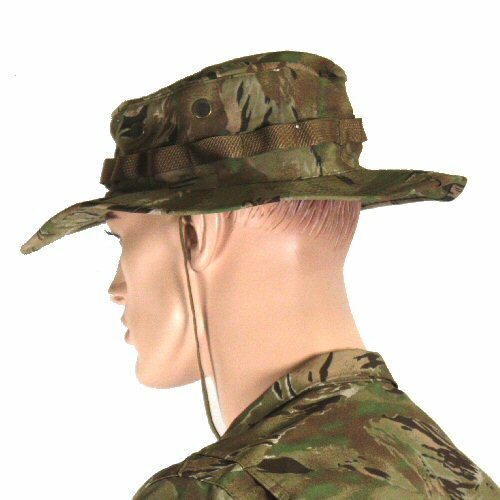 Medium weight fabric is tough and partially windproof without being difficult to dry and overly heavy when worn. Machine washable. All Terrain Tiger has been tested for concealment in woodland, over rocky moorland type terrain, autumnal colouration and grassland and shown to be extremely effective. Sizes are M (7 1/4) L (7 1/2), XL (7 3/4).